The Ministry of Industry and Trade, which previously attempted to oblige automakers to use Russian aluminum to support RusAl Oleg Deripaska, now requires painting cars with Russian varnishes and paints. Also, automakers will be obliged to use tires produced only in the EEU countries. The transition to domestic tires in the car market is considered generally acceptable, but Russia does not produce paint and varnish products that meet the global requirements of concerns. According to “Kommersant”, the Ministry of Industry and Trade has developed amendments to the government decree No. 719, requiring to deepen the localization of automotive industry products through the use of Russian paint and varnish and tire products. We are talking about the use of at least 30% of Russian paints and varnishes (LPC) since 2020 when painting cars, at least 50% – light commercial, at least 70% – trucks, at least 80% – buses and at least 90% – any parts, chassis components and components. Also from 2020, it is planned to oblige automakers to use tires produced only in the EEU countries. The new requirements, according to Kommersant’s data, will be discussed on November 9 during a meeting at the Ministry of Industry and Trade under the chairmanship of the deputy head of department, Viktor Evtukhov (materials for the meeting are in Kommersant). The Ministry of Industry and Trade “b” did not comment on the situation. The automakers “b” did not answer. In “Hyundai Motor Manufacturing Rus” (Hyundai plant in the Russian Federation, produces models Solaris, Creta, and Kia Rio) “Ъ” reported that they buy imported paints and varnishes from BASF and KCC. “We use water-based paints, they are safer from the point of view of ecology and health of employees, but today the Russian plant BASF does not produce such paints,” the company said. The general director of Nokian Tires Russia, Andrei Pantyukhov, says that the existing production in the Russian Federation can meet the needs of concerns for tires. According to the company, the volume of production of passenger tires in the Russian Federation in 2017 amounted to 46.8 million units, exports – 17.1 million units. At the same time, the share of tires for the primary configuration, he said, amounted to 5.4 million tires, and most of it was provided by local production. “Kommersant” interlocutors at the car market suspect that the new requirements were lobbied by chemists in the wake of the Ministry of Industry and Trade’s attempt to introduce amendments to the same resolution on the mandatory use of Russian aluminum. The agency has envisaged such a measure to help Oleg Deripaska’s RusAl, which fell under US sanctions. 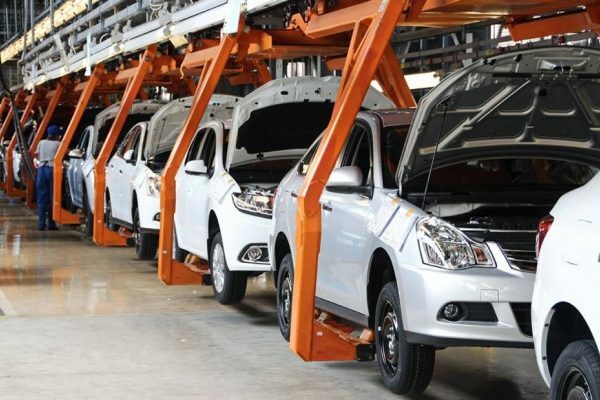 The transition to the EAEU production by 2020 is possible in theory, and the difficulties are purely technical in nature, according to Kommersant’s sources, but the situation with paint and varnish materials is different: the technologies necessary for the automotive industry, taking into account the global requirements of concerns in Russia, are absent today. According to the general director of Inventra (included in the Creon group) Rafael Grigoryan, the share of imports in the use of paint and varnish materials for the passenger car industry is about 70%, commercial vehicles – 45%. He notes that the automotive industry is far from the main segment of LKM consumption in the Russian Federation, but one of the most promising. In Helios Rus LLC (paints and varnishes from Helios supplied to the GAZ group and KamAZ) recognize that the required level of use of Russian paints and varnishes in the automotive industry will be “quite difficult” to achieve. They point to the lack of coating technologies and high-quality raw materials in the Russian Federation that are necessary for the automotive industry. The company says that the share of paint and varnish consumption for the automotive industry in the first half of the year is about 65% of the total market of industrial paint and varnish products, while the consumption of such products of Russian production is no more than 10% of the total lacquers and paints used in the Russian Federation. In BASF, “Kommersant” said that they supply materials from the factory of car paint coatings in Pavlovsky Posad to many automakers, including AvtoVAZ, Ford Sollers, and Volkswagen. Most of the raw materials for the plant come from Germany, they say in the company. “There are no whole classes of raw materials and pigments in Russia, for example, for aliphatic polyurethane paints, which are mainly used for painting white cars and are the only coating that does not turn yellow under the influence of ultraviolet radiation,” says the head of Rupec Andrei Kostin. Russian manufacturers will not be able to close even by 30%, since there is no technology, ”he says. Now, the expert explains, each manufacturer has proven global suppliers, with whom a clear supply chain has already been established. And the search for other options on the not so large in terms of car production volumes in the Russian market can increase the prime cost of painting. “If Russian paints were competitive in price and quality, they would have long since established deliveries to local car plants, as plastics manufacturers have done,” Mr. Kostin believes.